Every trip begins with careful planning, like making a list of everything you need to pack. Clothing aside, the bulk of what most women pack usually falls in the beauty category. After all, being on vacation isn’t an excuse to neglect your skin—in fact, given the risk of different climates and environments wreaking havoc on your skin, it’s best to be prepared. This is the best weapon you have in battling skin aging caused by the sun’s UV rays. Sunscreen deserves a spot in your kit regardless of your destination, especially since UVA and UVB rays don’t go away, hence can cause skin damage even on gloomy, overcast days. For the ultimate protection, apply sunscreen 30 minutes before stepping out, and reapply every two hours (or more frequently when you sweat a lot or are going swimming). Try to avoid being outdoors between 10 a.m. to 4 p.m. too. Notice how you shower more often when you feel hot and sticky? To keep your skin from becoming dry post-shower, lock in moisture by applying lotion while your skin is still damp. Colder climates give you more reasons to slather on the stuff: harsh winds and dropping temperatures are notorious for drying out your skin. While you may be able to hide rough, flaky skin in your photos, that’s harder to camouflage IRL—not to mention super inconvenient when it starts itching. Whether you’re visiting a local city outside Metro Manila or exploring the other side of the world, make sure to protect your skin against the sun and pollution. Vaseline Healthy White Sun + Pollution Protection lotion has PPF (Pollution Protection Formula) that helps protect your skin from pollution, and SPF 24 PA++ that helps protect your skin from sun damage. 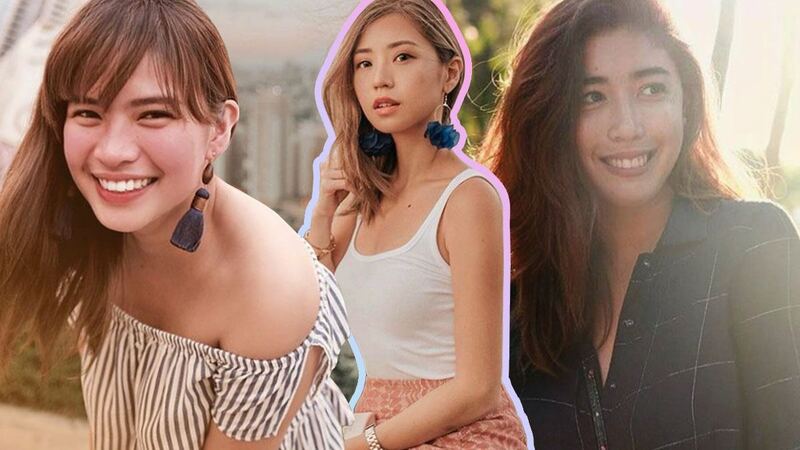 As this product helps your skin be city-ready for all your travels, it’s no wonder influencers like Kryz Uy, Rhea Bue, and Dani Barretto swear by it. Need a little pick-me-up? Turn to your face mist for a refreshing and invigorating boost. Spray it on for a cooling blast on hot days, use it mid-flight to counteract the dry air in the cabin, and spritz it after a long night of partying (or fighting jetlag). On a pinch, you can make your own by transferring your favorite hydrating toner into a small spray bottle, then take it with you everywhere—it barely takes up space even in the smallest of sling bags. Fact: Your lips need a ton of loving, too. To ensure whatever lip color you put on looks flawless and selfie-ready—even matte lippies can be drying AF—keep your pout prepped and pretty with some good old lip balm. Pick one with SPF protection—the skin on your lips is extremely thin and delicate, making your puckers susceptible to wrinkles and dark spots. We’ve gone crazy for sheet masks in recent years, thanks to the advent of Korean beauty and skincare routines. Soaked in essences that your skin seems to just drink up, sheet masks are great when you’re traveling with limited baggage allowance and need to leave big, heavy bottles behind. Don’t let the thin weightless sheets deceive you: They’re perfect for hydrating and moisturizing your skin on the go, and they offer other benefits like brightening your complexion or calming redness and irritation. Chill them in the fridge before use for a relaxing and cooling pre-bedtime treat. Vaseline Healthy White Sun + Pollution Protection lotion is available on Lazada and in leading supermarkets and department stores nationwide. For more information, follow Vaseline on Facebook.